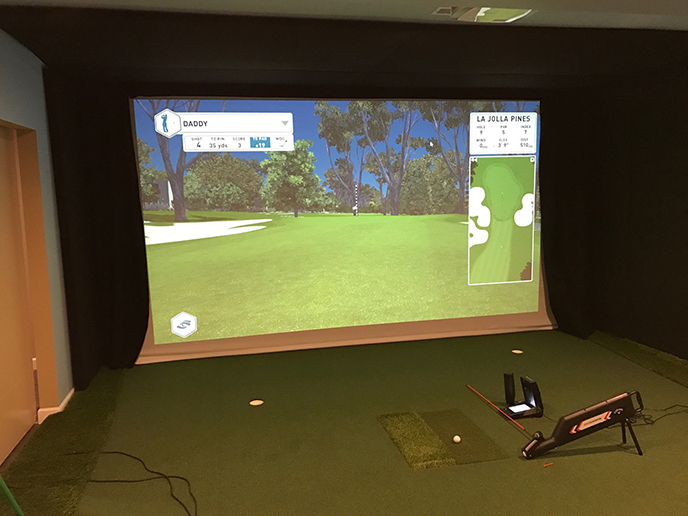 Turf Masters Custom Designed Golf Simulator Systems can fit most budgets. We tailor a variety of custom enclosures, hitting mats, putting turf, HD projectors, touch screen monitors and high-speed cameras to fit your unique design. 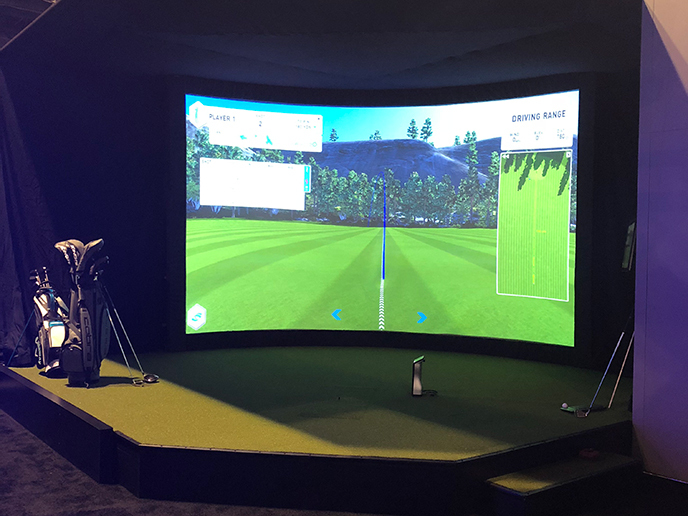 At the PGA Show, we research and identify the best and latest technology of Simulators available. We represent these companies on behalf of our clients, PGA teaching partners, and golf businesses. 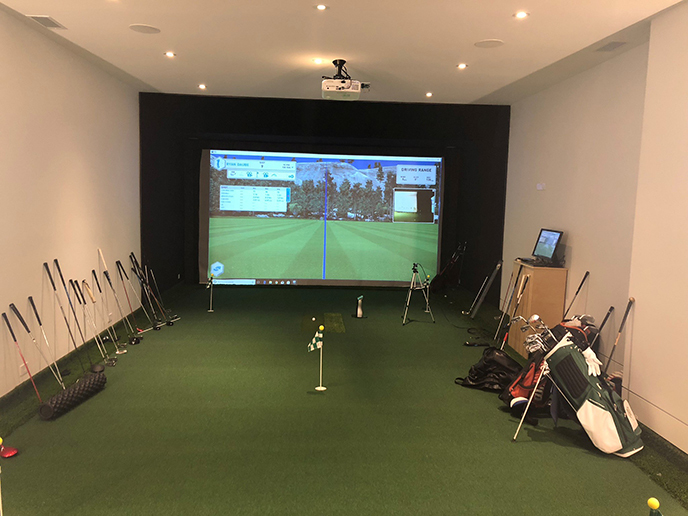 Golf Simulators are now affordable and are ideal for homeowners looking to practice and improve their golf game in their own home. High-resolution pictures make the experience very real. High-resolution images create a truer to life golfing experience. 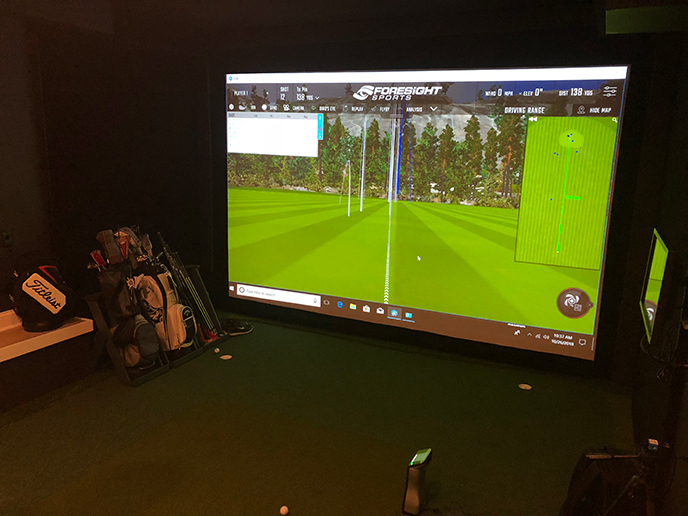 Let Turf Masters design and install your custom Golf Simulator System today!